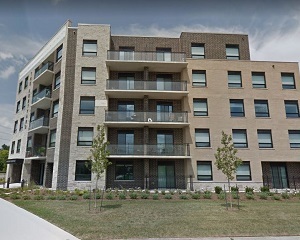 Northview Apartment REIT (NVU-UN–T) says it expects its frenetic pace of acquisitions to slow down in the wake of its announcement this week it will purchase six more Ontario apartment properties for $131.9 million. The acquisitions, four buildings in Toronto, plus individual properties in Guelph and London, mean Northview has bought $535 million in property since December 2017. The buildings contain a total of 644 units; 418 in London, 145 in Toronto and 81 in Guelph. About 500 of those units are slated for renovations as the opportunities arise. Five buildings are being acquired from independent sellers, while the sixth is being purchased from affiliates of Starlight Group Property Holdings. The buildings are 96 per cent occupied and the weighted average cap rate is 4.2 per cent, Northview said. The properties are: 2 Hill Heights Road and 143 Stephen Drive in Toronto, both built in 1954; 245 Lake Shore Drive in Toronto, built in 1966; 317 Park Lawn Road in Toronto, built in 1953; 171 Kortright Road West in Guelph, a newly completed building; and 520-560 Mornington Ave., in London, built between 1962 and 1969. The Guelph property is the building acquired from Starlight, for $28.2 million. Starlight acquired the building, known as The Kortyard, in August. “These acquisitions complete the deployment of the equity raised in June as well as the redeployment of the proceeds from our non-core asset sale in the third quarter,” Cook said in the release. “We have completed $535 million of acquisitions over the last 12 months, of which a significant portion were through our strategic relationship with Starlight. Northview closed on the purchase of 1,250 apartments in 10 buildings, located in four provinces, at the end of 2017. The purchase was valued at just under $200 million. Cook said although Northview will continue to look for good deals in the multi-family market, the REIT plans to focus on renovations, upgrades and developments for the foreseeable future. “We expect the pace of acquisition activity to moderate in 2019,” Cook explained in the release. “This will allow us to focus on both delivering on the growth potential from our recently completed acquisitions, and on our development program which will further enhance the quality of our portfolio. Northview will finance the most recent purchases through $16.6 million in cash funded from existing credit facilities; the issuance of $35 million in class-B LP Units to one of the independent vendors and Starlight, at a price of $27.00 per unit; and new and assumed mortgage debt of approximately $80.3 million. Closing costs will be funded from existing credit facilities. The mortgages have an average interest rate of 3.2 per cent, and an average remaining term of nine years. The acquisitions are subject to customary closing conditions, and are expected to close in stages by Dec. 31, 2018. Northview is one of Canada’s largest publicly traded multi-family REITs with a portfolio of approximately 26,000 residential suites and 1.2 million square feet of commercial space in more than 60 markets across eight provinces and two territories.